He refused to take a breathalyzer test. Police in Kyiv have stopped a car with a drunk driver, its press service has said. According to some media reports, it was Ukraine's former ambassador to the USA, Oleksandr Motsyk. 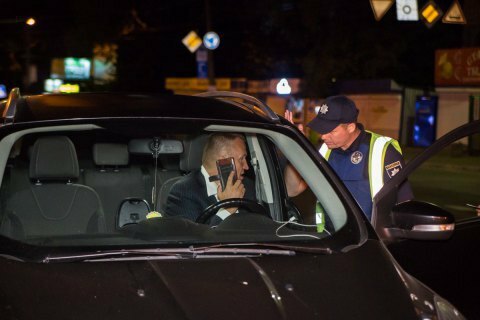 The Informator website said police stopped the ex-ambassador's Ford Kuga in Shevhenko Square. Contacted by RBC-Ukraine, police refused to confirmed whether it was Motsyk behind the wheel. However, they confirmed that the driver was drunk and refused to take a breathalyzer test. His car was towed away and an administrative offence report was drawn for the driver. Motsyk was Ukraine's ambassador to the USA from 2010 to April 2015. In 2016, he joined the political subgroup in the trilateral contact group on a Donbas settlement.